Since it appeared in the 1920s, simultaneous interpretation equipment has developed for almost a century. According to the reliable material, the earliest wireless simultaneous interpretation came in 1926. 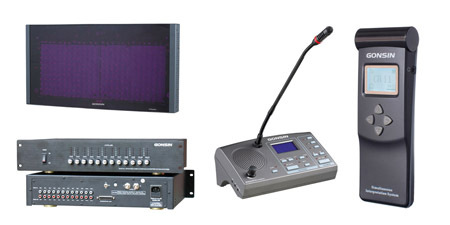 The wireless simultaneous interpretation technology runs through the development history of interpretation equipment. As the traditional wireless simultaneous interpretation, because it came out earlier and went through long development, IR simultaneous interpretation is well-known. However, as the innovative wireless simultaneous interpretation technology, FS-FHSS simultaneous interpretation is relatively mysterious. The writer will make analysis of the technical principle and technical character of IR and FS-FHSS, and then elaborate the difference between two kinds of simultaneous interpretation technology in pre-sale configuration, device installation and commissioning, after-sale devices upgrading and service from all perspectives. On account of the physical character of infrared ray, IR simultaneous interpretation could meet the basic encryption demand by blocking the light, partition wall and other physical ways. However, to encrypt totally, except the basic physical ways, it could more count on the coding and decoding technique and the corresponding encryption technique to secure the information. Currently, the main digital IR interpretation systems utilize the encoding and decoding technology for encryption, rather than encrypting the data. Infrared ray is sensitive to sunlight, high-frequency light source, because its short wave length short, the weak diffractivity to obstacles, straight line transmission, limited reflect capability, it is mostly applied in the indoor small or medium conference. 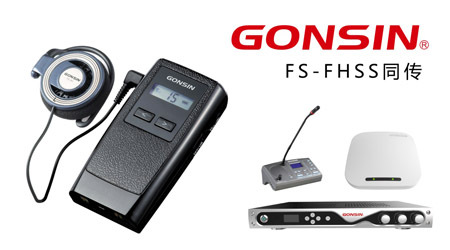 FS-FHSS simultaneous interpretation system utilizes GONSIN self-innovated FS-FHSS( Frequency Selection-Frequency Hopping Spread Spectrum) technology, it belongs to RF technology. 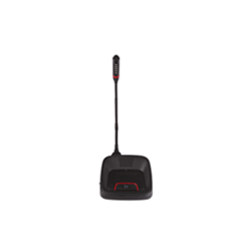 It is the cutting-edge wireless technology innovated from the base of Direct Sequence Spread Spectrum and hopping technology. Hopping frequency communication technology is the common spread spectrum communication technology, widely applied in various communication fields. 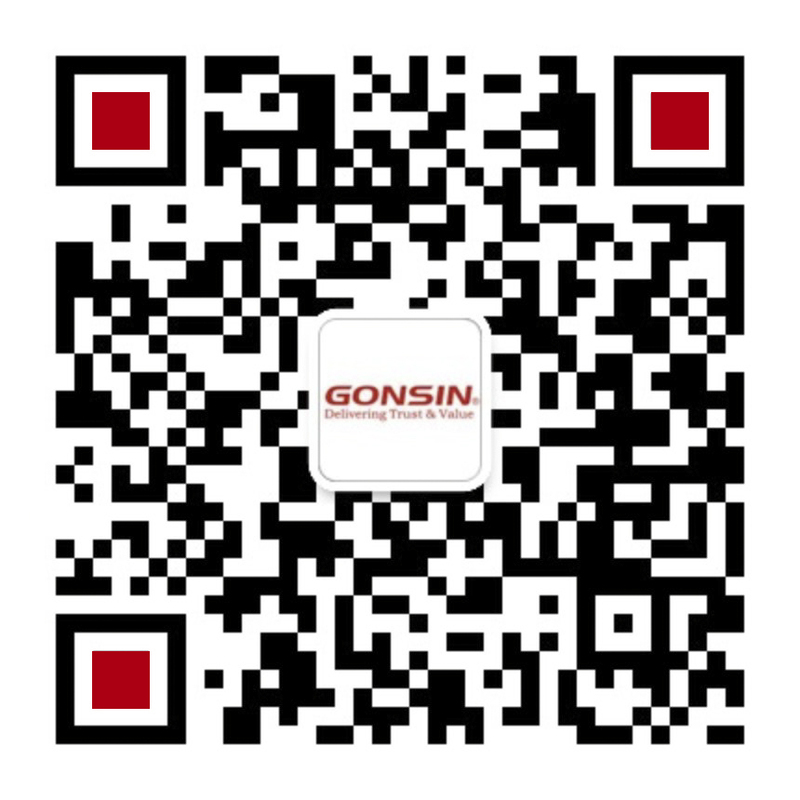 Based on this technology, GONSIN innovated and developed the unique FS-FHSS technology. 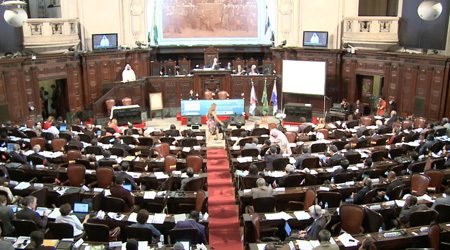 The system would monitor and select the spectrum before conference to ensure the selected frequency free of interference. It could automatically choose the clean frequency band for communication. As the wireless signal is changing, it could avoid any inference by changing the frequency band to the selected clean frequency band. The frequency selection and frequency hopping double mechanism ensure the stable communication. Meanwhile, the system utilizes the unique encoding and decoding technology and 128 bits AES encryption and grouping technology which ensure the security of the communication. Because FS-FHSS technology has strong anti-interference capability, strong encryption, long communication distance, stable signal transmission, adjustable emission range, convenient installation and commissioning and etc, the system could be widely applied the indoor and outdoor conference at all sizes. 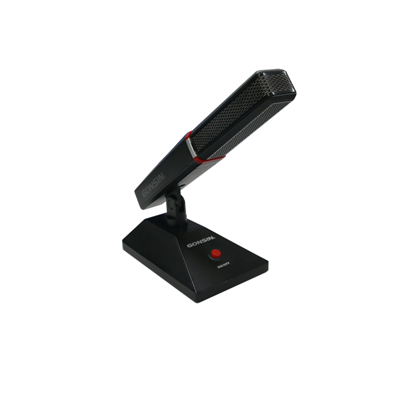 That technology could not only be applied to FS-FHSS wireless simultaneous interpretation system, but also be applied to the discussion, voting and other comprehensive conference application function.